So, by now you probably have an active Adsense account (if not, read my tips to get your Adsense account approved). The author took the code from Quick Adsense and improved it, so it’s newer/better. This is the one I use right now. For this, we will be using WP QUADS. 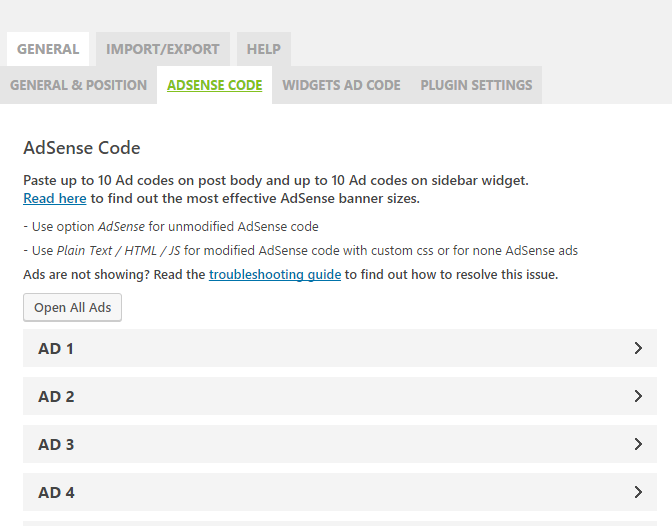 Under ADSENSE CODE, you can enter up to 10 Ad codes; however usually you won’t need more than 1 to 3 ad codes. 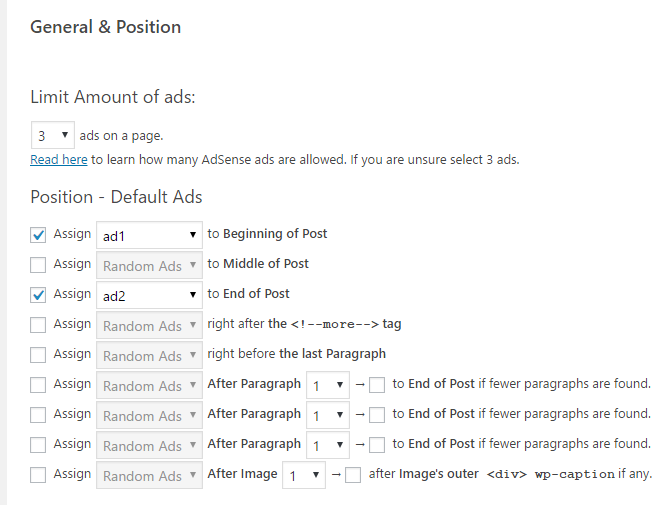 Step 4: Once you have entered the code, go to “GENERAL & POSITION“, and select where you want your ads to appear. In my example, I’m adding a square ad block (ad1) at the beginning of the post, and a horizontal ad (ad2) at the end of the post. Step 5: Choose if you would like the ads to appear in places like Homepage, category page, etc. Step 6: Make sure to select “Limit Amount of ads” to 3, since if you add more, you will be breaking Google Adsense’s policy. That’s it! Now you have ads on your website ready to make you money. End of Post: After they have read your post, they might want to know more, and here is your ad, ready to make you $$$ when they click.